Character rigging and animation in After Effects is mixed bag. 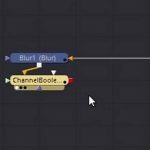 There are complete tools such as DUIK, and more simpler presets like RubberHose and probably a lot more in between those two. One Motion Design studio took a different approach with a rigging script that can also account for foreshortening of the character’s limbs by using the beam effect. When it comes to rigging characters, every tool has some drawbacks. 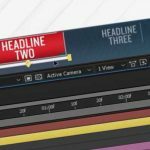 “Our script is not perfect and each IK system has their own pros and cons and this script would add to your arsenal as a motion designer.” Te mentions. If you want to add another rigging tool to your workflow, the Beam Rig is free to download and use. Visit Plainly Simple for more information.